Avg. Group Discount of 11.9%! "Nice stay at Residence Inn." Clean appearance; good breakfast; nice room. 18-Jan-2019 Verified Review, stayed from Tue Jan 15 to Fri Jan 18 2019 at a $221.00 average nightly rate. The rich history of our nation is at your doorstep when you stay at the Residence Inn by Marriott Boston Harbor on Tudor Wharf in lovely Charlestown, Massachusetts.This AAA 3-diamond, pet-friendly hotel has 168 suites and is conveniently located just one half mile from downtown Boston and the TD Banknorth Garden, home of the Boston Bruins and Celtics. This hotel has 450 square feet of meeting space available with wireless Internet access, a heated indoor swimming pool, and a complimentary hot breakfast buffet served daily. In our rooms you'll enjoy separate areas for sleeping, living, and eating, in addition to a fully equipped kitchen. Ask to upgrade to our PURE allergy friendly hotel room for maximum comfort.Whether you're traveling for business or pleasure, let the Residence Inn by Marriott Boston Harbor on Tudor Wharf be your home-away-from-home. Take a splash in our indoor heated pool and spa overlooking Boston Harbor. Open daily from 6am - 10pm and complimentary for all hotel guests. Logan Airport 10 minutes by taxi cab. Approximately $20. Local Shuttle Info: Local shuttle to area hospitals is nearby. Hot Breakfast Buffet is included in your stay! $20 value per person. 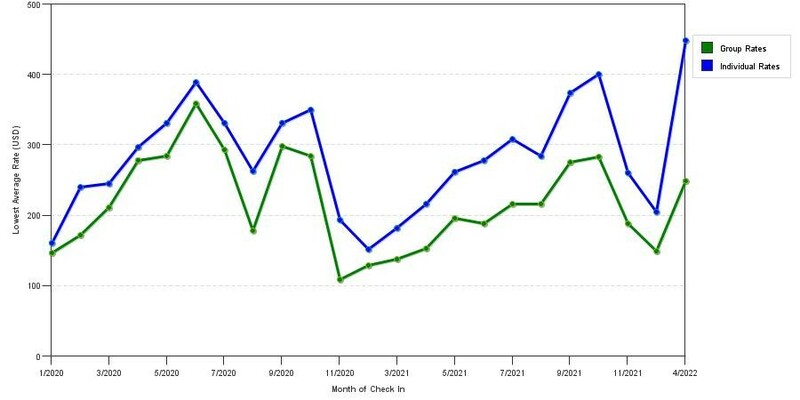 The chart above shows fluctuations of prices for both group/meeting quotes and the best individual traveler prices our rate checker could find at the time the group offer was entered. The most competitive group or meeting displayed is 40.3% in the month of May 2018 and the highest average individual rate is $423 in the month of June 2018. This chart will show past seasonality and also project future months. If you are flexible with dates, you may want to consider staying at Residence Inn Boston Harbor on Tudor Wharf in a month when rates are lower. 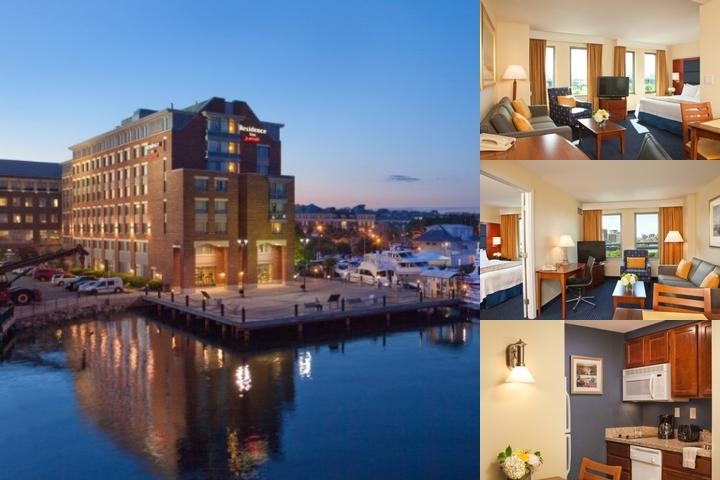 Below are the meeting, banquet, conference and event spaces at Residence Inn Boston Harbor on Tudor Wharf. Feel free to use the Residence Inn Boston Harbor on Tudor Wharf meeting space capacities chart below to help in your event planning. Hotel Planner specializes in Boston event planning for sleeping rooms and meeting space for corporate events, weddings, parties, conventions, negotiated rates and trade shows. The 450 sq. ft. Minehan Meeting Room is an ideal space for meetings and informal gatherings of up to 25 people. 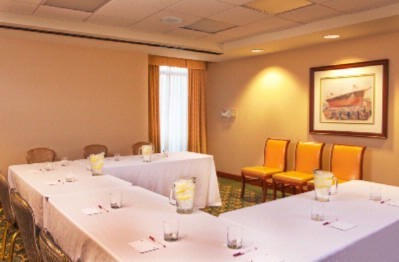 Our meeting room offers a variety of setup options to accommodate your group needs. The room boasts a small counter space for break setups, a thermostat for individual climate control, a mounted flat screen TV, and a whiteboard with a pull-down projection screen. Complimentary wireless Internet access is available to all meeting guests. We have a projector and polycom available for rent. 20 x 17 x 8 Ft.